You can’t open a business journal these days without reading of at least one business buying another. This happens so frequently and all around the world that it feels like a very natural and indeed a very essential part of our capitalist society. Big companies typically buy smaller ones which offer special know how, market access, IP or which complement or enhance their current portfolio. Many companies embrace this strategy to preempt potential competition or to enter new segments or geographies. All of these rationales make perfect sense. So why is it that so many acquisitions end up being costly failures? Why do so many eye-popping billions end up being written off, often by large conglomerates who really should know better? There is no shortage of opinions on the matter. A quick Google search on “why acquisitions fail” yields 44 MILLION hits! Look no further than HP’s recent debacle with Autonomy or the epic Time Warner AOL disaster. Many of these colossal failures, however, detract from many other smaller acquisition failures or disappointments where a purchase fails to deliver the expected synergies. According to Prof. Freek Vermuelen from the London Business School, as many as 80% of acquisitions fail to create shareholder value. Although the subject has been oft analyzed, here are a few additional potential causes and remedies. 1. 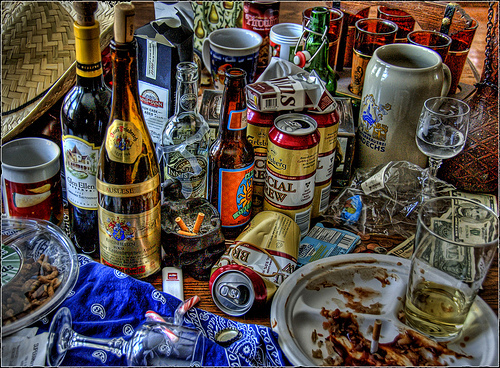 Irrationally exuberant investment bankers and M&A team. When your primary role is to acquire new businesses, it’s interesting how acquisition models and projections often include rosy ROIs. As the old saying goes, “when the only tool you have is a hammer, everything starts to look like a nail.” Solution: incentivize M&A staff with long term incentives tied to the acquired firms’ ability to deliver on expectations and revenue projections. Also, make M&A folks part of a business integration team. By actually participating in the integration effort they will be able to better anticipate potential post-acquisition challenges in future M&A activities. 2. Failure to include or involve individuals further down the food chain who will actually “live” the integration. In the interest of secrecy, many stakeholders are not consulted in the decision to buy a company. Yes, there is due diligence that normally gets done but this is usually done by a very small subset of people. Solution: Ensure all participants/sectors ( Service, Channel Management, Quality, Tech Pubs, Order Entry, IT, Operations, …) involved in the consummation of an integration are consulted, agree to the promised revenue plans and have a stake in the success. Create financial incentives for teams to achieve timely integration milestones. 3. Failure to learn from past experience. Many large companies are serial acquirers. However, over time and with turnover, it’s easy to see how corporations forget the sins of the past. Solution: Create an honest testament or lessons learned account of each acquisition. Develop a database of critical success and failure factors and consult before every acquisition. Charter a team of integration veterans and experts. 4. Failure to get the “main” organization to properly support and engage with acquired business. When the acquired business is small or only remotely related to the bulk of the business, there is a tendency for it to get ignored and for promised synergies to not materialize. Solution: For every acquisition create a special pool of funds designed to reward inter-company collaboration and to subsidize/stimulate cross-modality bundling and sharing. Obviously, there is no silver bullet for acquisition success but steps can be taken to improve the ultimate outcome. Regardless of what was paid (or overpaid) for an acquired firm, the key is to do everything possible to ensure a smooth integration. Some firms intentionally keep acquisitions independent and at arm’s length while others waste no time in folding them into the larger organization. There are arguments for both approaches. The former seeks to do no harm and protect the “golden goose,” while the latter seeks to streamline operations while leveraging promised synergies. Sooner or later, however, acquired businesses need to be folded in if there are any synergies to be uncovered. Perhaps the worst outcome is the hybrid approach which spreads the pain of integration over multiple years. I am not at all suggesting that acquisitions don’t make sense – they can and often do – but rather that we tend to underestimate the costs and challenges of the actual integration. Independent of the merits of an acquisition, more research, resources and consideration should be devoted to making the process of integration more successful. Thoughts, personal experiences, emotional outbursts? 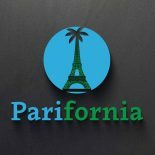 Share a comment or simply follow the Parifornia blog (Original insights in international business and marketing). This entry was posted on April 9, 2013 by Andrew Hyncik in Business Skills, Marketing and tagged business, failure, integration, London Business School, Mergers and acquisitions, success.